Pretty shot. 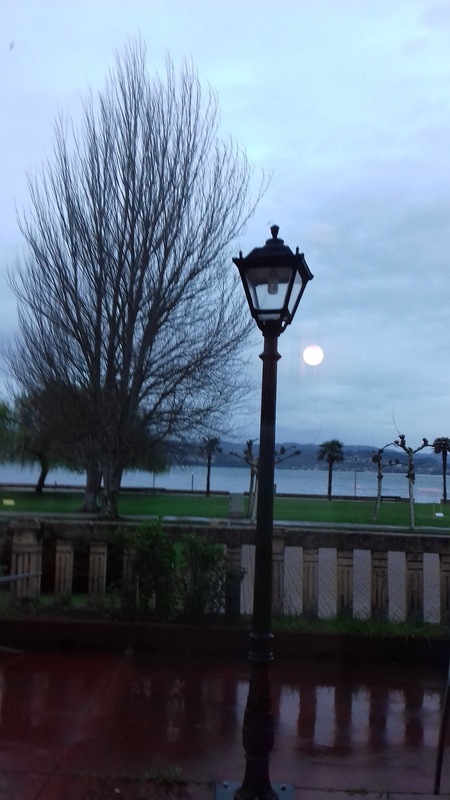 The moon could almost serve as the light bulb for the street lamp!! I agree with "Spare Parts"...that moon looks like it could light up the landscape. What a wonderful photo! So true what is already commented here! Wonderful picture! The photo reminds me of some scenes that I've seen in romantic movies. Meeting by the lamppost. Have a great week. Preciosa!! Con lo difícil que es que la luna salga de buen tamaño en las fotos.